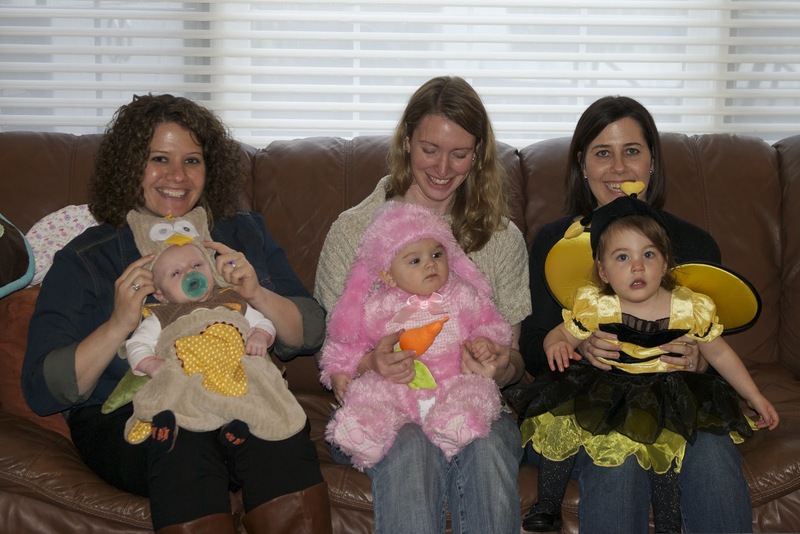 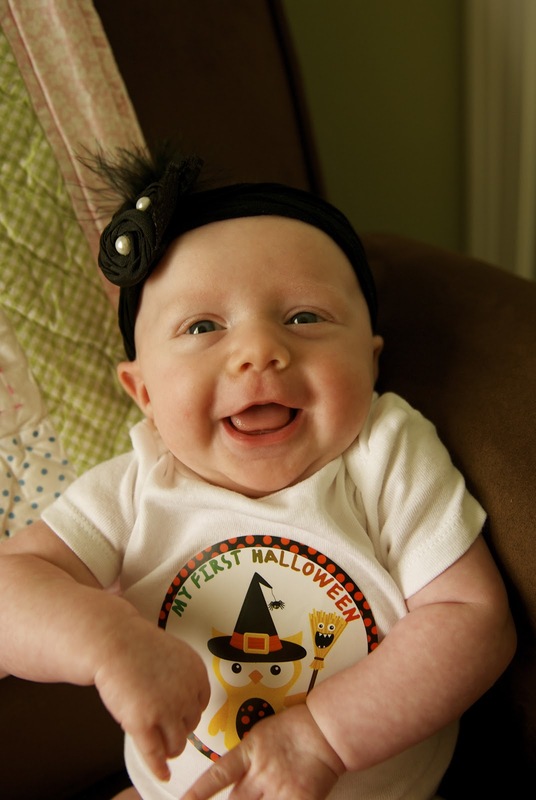 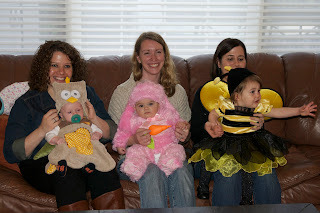 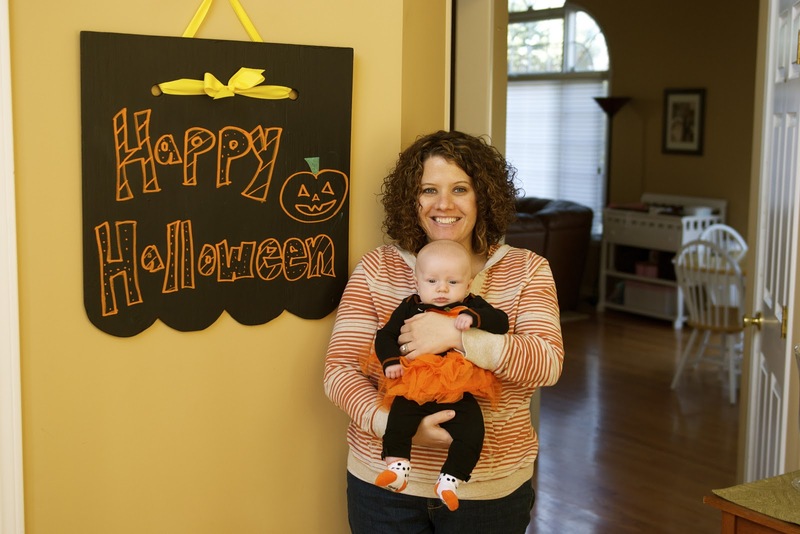 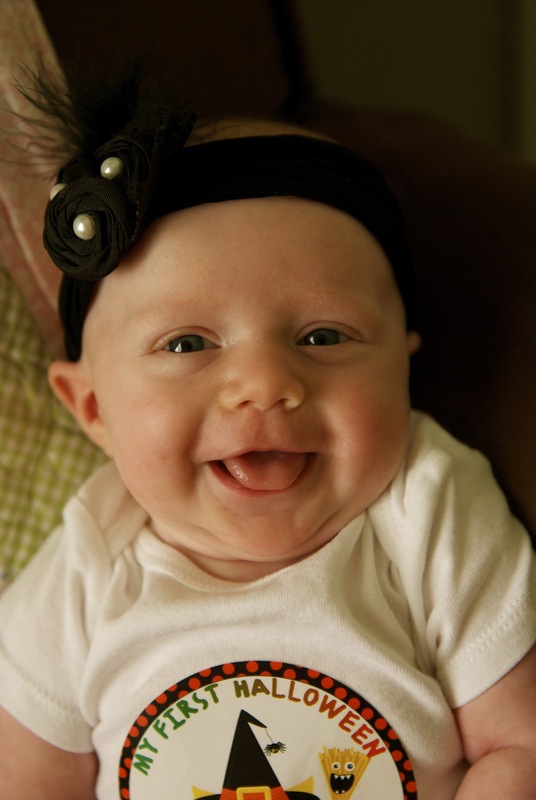 It sure has been a Happy Halloween for Eloise's 1st Halloween. 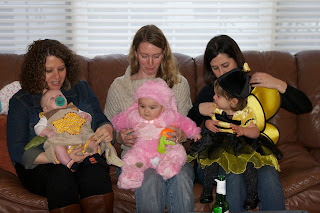 We hosted a little Halloween party with the Thakurs, Archers, & Carmona-Caravellis. 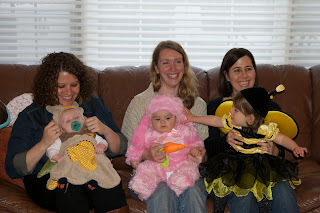 Who knew it would be so hard to get 3 little girls into their costumes & look at that camera?!? 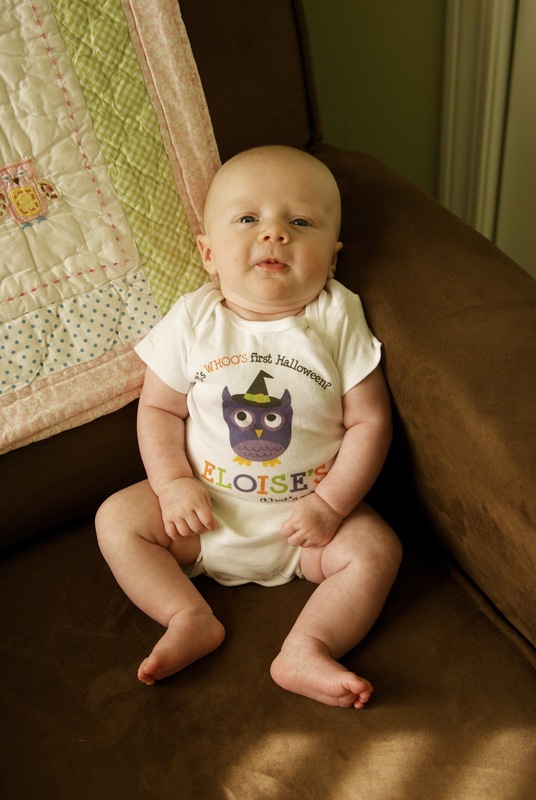 Eloise sported many Halloween outfits this month. 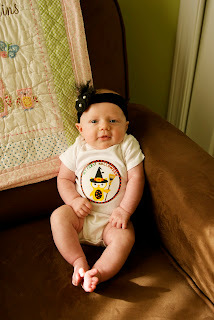 Here she is rocking one of her "My 1st" Holiday onesie stickers! OH MY!!! 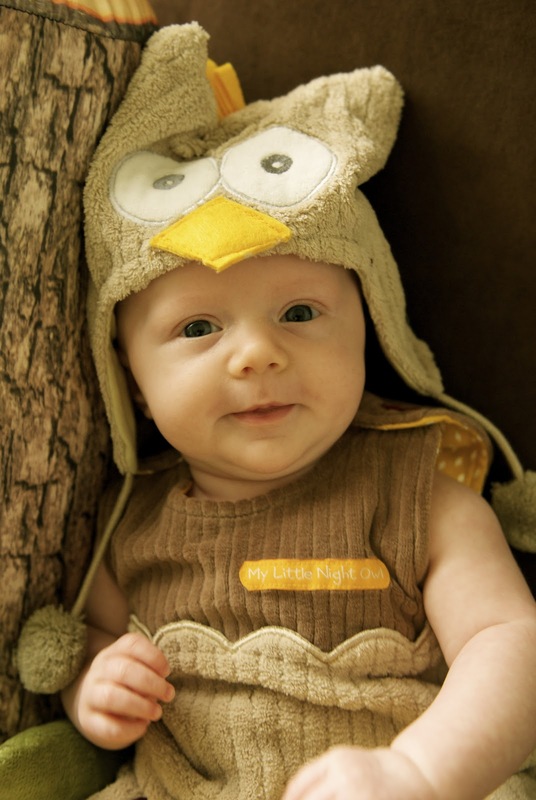 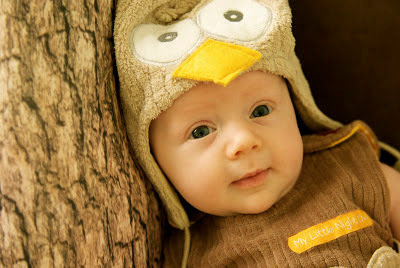 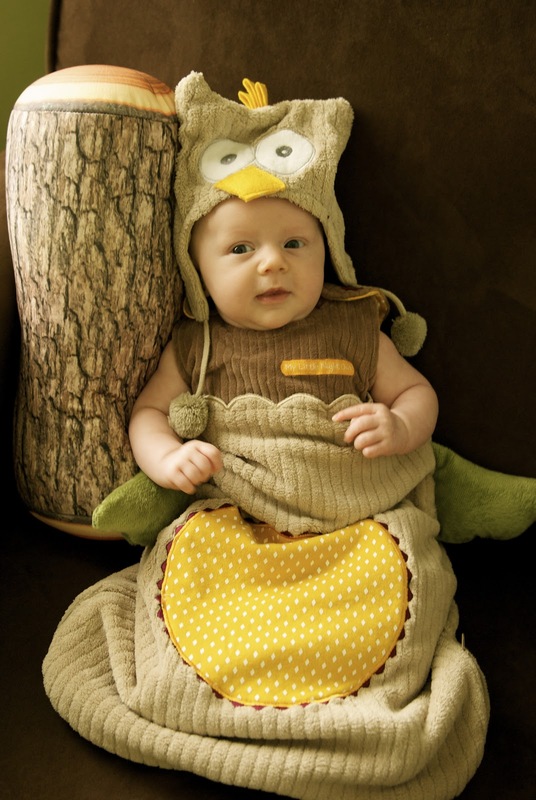 That is the sweetest little owl I've ever seen! Love all the pictures but the last few are priceless!